For most women getting married is something to celebrate. But for some, marriage is when abuse begins. 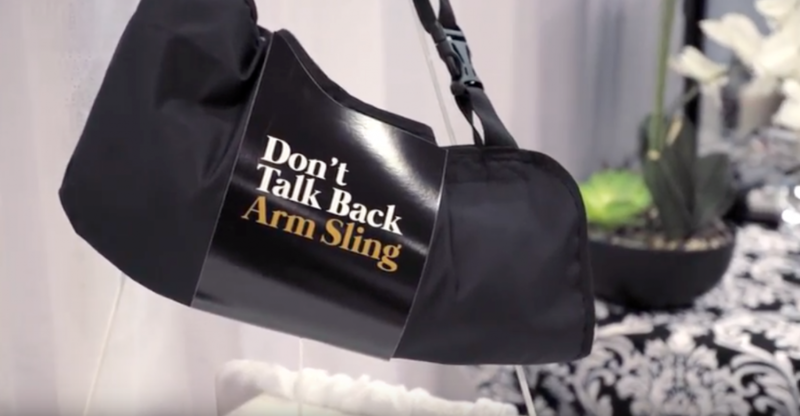 Domestic abuse charity Interval House set up a stall at the Toronto Bridal Show with an exhibit created to put a spotlight on domestic violence. 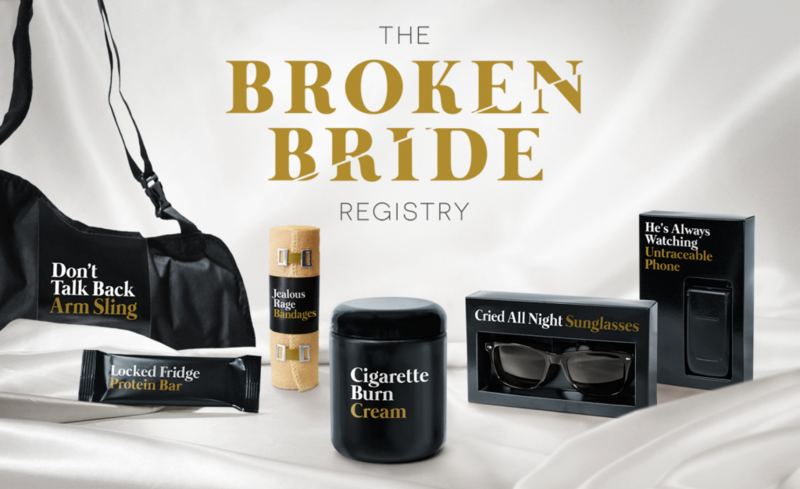 The Broken Bride Registry stand displayed shocking fictional products ‘on sale’ for to soon-to-be-weds. ‘Jealous rage bandages’ and a ‘Don’t Answer Back’ arm sling. 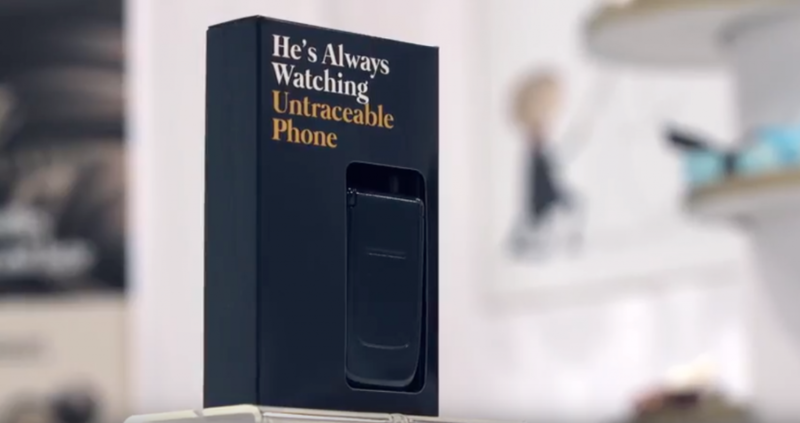 There’s an untraceable smartphone to protect yourself from a controlling spouse. Each item contained a barcode and when these items were scanned in the booth, they unlocked real-life stories/videos of domestic abuse. 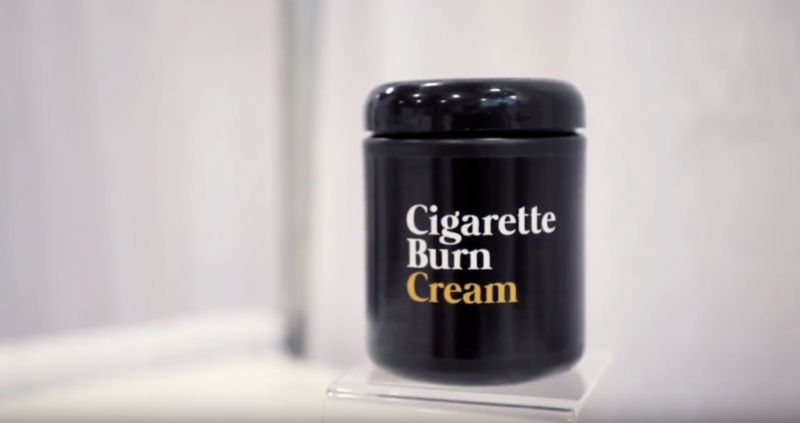 This video shows members of the public interacting with the exhibit. As well as driving awareness the aim is to get the prospective bride to make a charitable donation.